Hubby has had a craving for red meat. I very seldom share meat recipes because I don’t make meat dishes that often. Not because I am a vegetarian. Non-meat dishes are just more convenient for me to make but I am always willing to bend over backwards for people I love and care about. I honored Hubby’s request for a beef dish by making homemade meat pockets for him which he immensely enjoyed. Since I am about to go meatless for the next 9 days, I thought it would be appropriate to share my meat pockets pie recipe for this one last time (at least for a while). It is a Jewish custom not to eat meat or drink wine among other things in the 9 days leading up to Tisha B’av – anniversary of the destruction of both temples as well as numerous tragedies that followed. I may not be a vegetarian but I never complained about forgoing meat for a couple a days. In fact, I found it somewhat to be relieving. While I don’t eat meat as often as I used to, I do make special exceptions. Having overused ground beef for Shepherd’s Pie, Sloppy Joe’s, and burgers, I was in need of a different option and I settled on meat pocket pies. Learning to cook meat pockets was not much different than making meat knishes or calzones. The concept and techniques are similar. They consist of a meat filling and a bread exterior. Only this time, I infused some Mediterranean flavors in these homemade meat pocket pies. As far as filling options are concerned, the sky is the limit. You can pull your own twist. I know many of you are not heavy meat eaters so a vegan option is always available to you. Just simply swap the meat for the vegan version and you will still get a satisfying and flavorful meat pocket pie – a meatless dinner idea I would consider for the next 9 days. Follow instructions for pizza dough recipe. Divide dough into 6-8 pieces. Heat 2 tablespoons of vegetable or olive oil in a skillet over medium heat. Add chopped onions and saute till translucent. Add minced garlic and saute for another 2 minutes. Add the vegetables and cook till tender. Stir in the ground beef and cook till browned and crumbly. Drain excess fat from the pan and stir in spices, salt, pepper, and crushed tomatoes. Bring to a simmer, cover, and cook until the liquid has evaporated. Line baking sheets with parchment paper. Roll out dough pieces into discs. Fill each disc evenly with beef mixture in the center. Seal dough with opposite ends. Arrange on baking sheets. Allow them to rise for 20 minutes or until double the size. Preheat oven to 400 degrees F. Bake until golden brown and hot on the inside, about 25 minutes. 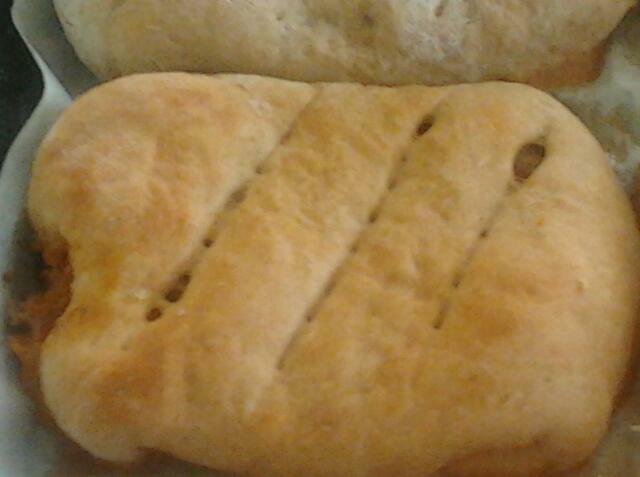 This entry was posted in Bread, Meat and tagged cook meat pockets, homemade meat pockets recipe, meat pocket pie. I have been making some serious lifestyle changes; especially in my eating habits. That doesn’t mean I have voluntarily forfeited all my favorite dishes. It simply means I modified some of the ingredients. I have been reducing the amount of my consumption of gluten as part of an experiment. While I have no reason to suspect that I am developing an allergy for gluten, I have decided to omit all-purpose flour from my diet for a while to see if my body/digestive system reacts any differently. I keep my baking with all-purpose flour to the bear minimum. I have been feeling bloated as of late and gluten may have been a contributing factor to this problem. 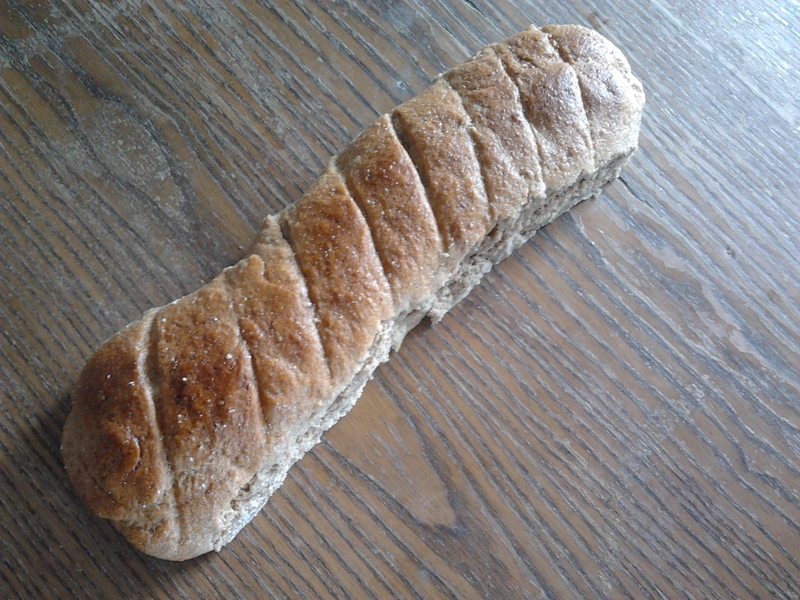 I have been experimenting with baking gluten-free breads. Although they still need more practice, I have managed to produce something that is edible as well as tasty via online guidance, confidence, creativity, and intuition. Having little experience with gluten-free bread, I can never be too careful but I am confident enough to produce satisfactory results. Thankfully, the ingredients I need are readily available at my local health food store so there is no longer the need to order these products online or have someone ship them to me from abroad. Add the yeast and sugar to the warm water and allow to foam up. Then add the flaxseeds, oil, and vinegar and allow 5 minutes for the seeds to thicken. Whisk all the dry ingredients in a large bowl. Add the yeast mixture into the flour mix and stir for 2 minutes with a wooden spoon until well-combined. Line a baking sheet with parchment paper and dust with cornmeal or potato starch. Divide dough into 5-6 balls (or as many/little as you can). Form each ball into bagel form and creating a hole in the middle by using your thumb. Cover and allow to rise for 45 minutes. Preheat oven to 375 degrees F. Fill a large pot with a quart of water and bring to a boil. Add sugar and baking soda (optional). Gently toss each bagel into the pot of boiling water and boil for 30 seconds on each side. 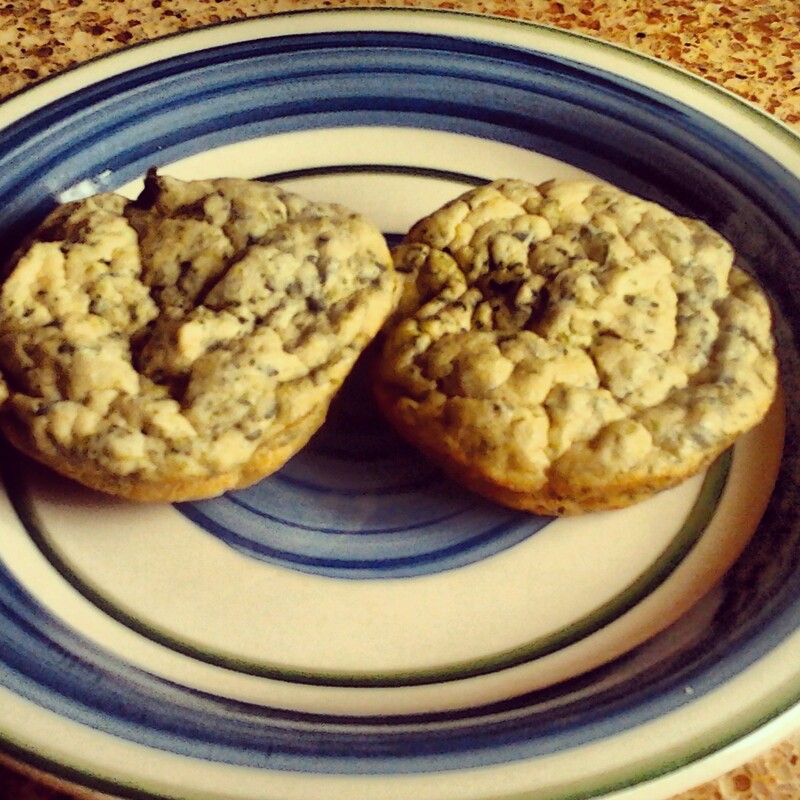 Once boiled, place bagels on parchment paper and sprinkle with you favorite topping if you like. Bake for 20-25 minutes and allow to cool on a wire rack before slicing. 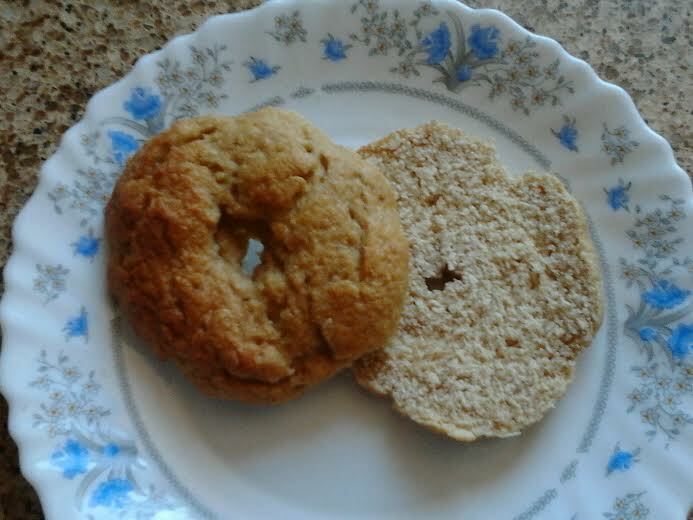 This entry was posted in Bread, Gluten Free, Vegetarian and tagged gluten-free bagels recipe, gluten-free breads, how to make gluten free bagels. I never had much luck when it came to making gluten-free bread. I suppose it is primarily due to a lack of practice. 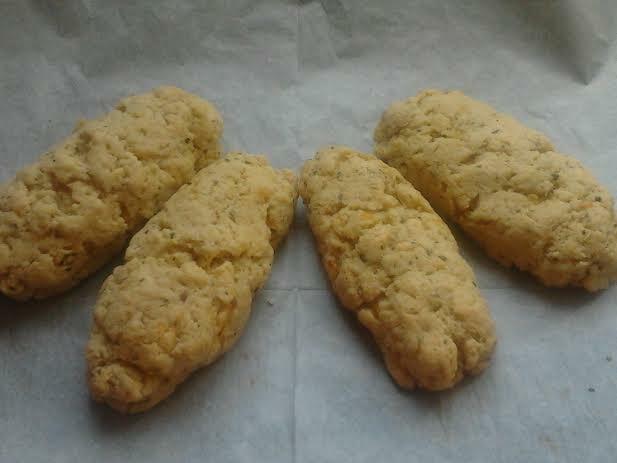 The first time I attempted to make them was using packaged gluten-free bread flour and following the recipe imprinted on the bag. Vilely inedible doesn’t begin to describe the end results of this bread. It was even an insult to celiacs. I am an amateur but disasters like these are inexcusable. I suppose I was thankful that I didn’t have anyone over to share this disgrace for a gluten-free bread with. Otherwise, I would have never been able to have lived it down. Nature was more than grateful for covering up my mistakes. Hubby made me vow to never bake this bread using this particular brand ever again. Well, it was a mutual decision. The bread mix has proven to be a complete dud. That experience was a bit discouraging but I wanted to further hone my gluten-free baking abilities. Given my inborn stubbornly persistent nature, I couldn’t just call it quits yet. I do need more practice though and I have been relentlessly trying. Plus I am trying to limit my intake of gluten as part of my detox so I am been searching for viable gluten-free alternatives as well. I have several friends who suffer from celiac disease and I don’t want to be caught with my pants down and not have anything to feed them with when hosting them aside for salad and meat. 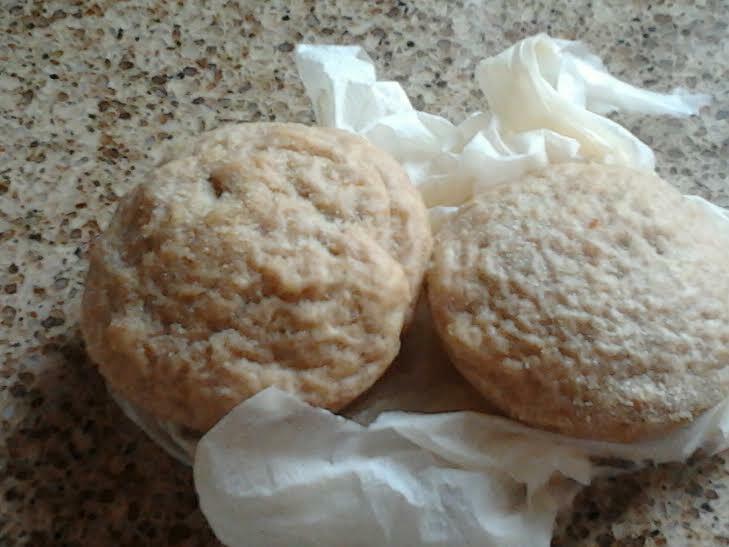 I have been on a quest to search for a gluten-free bread/rolls recipe that work best for me. I asked for suggestions and recommendations from my friends who are celiac. I had a kilo of quinoa flour, rice flour, and tapioca flour sitting in my pantry. I initially thought about making a gluten-free pizza crust but decided on rolls at the last minute. I wanted to take baby steps and make sure that my gluten-free rolls were a success before venturing on to more challenging ideas. The most common complaint I heard from people who have eaten gluten-free bread is that its dry and lacking of flavor. I mixed in some pesto that I made on the whim. You can mix in roasted garlic, onion, and sun-dried tomatoes if you like. Hoping for the best but expecting the worst, the rolls were a successful turnout. Even hubby encouraged me to make them again. Now I know what to prepare when I next expect guests with celiac disease. I hope you enjoy this gluten-free roll recipe as we did. I look forward to sharing more gluten-free bread recipes with you. Feel free to suggest some gluten-free ideas to me. What are some of your favorite gluten-free bread recipes? Combine the yeast, sugar and warmed milk in a small bowl and whisk to dissolve the sugar. Let sit for 6 – 8 minutes or until the mixture is foamy and had increased in volume. Combine the flours, starches (or all-purpose gluten free flour blend), xanthan gum, salt and baking powder in the bowl of an electric mixer fitted with the whisk attachment. Mix for 30 seconds on medium-low to combine and break up any lumps in the potato starch. Add the yeast mixture, 1 egg, melted butter substitute, pesto and vinegar. Mix on medium low until combined. Scrap down the sides of the bowl, turn the mixer on high and mix for 3 minutes. You should have a very thick, smooth batter. Brush 2 standard muffin pans with melted butter (or butter substitute) or spray with gluten free, non-stick cooking spray. Preheat the oven to 375 degrees. Spoon the batter into the prepared muffin pans, filling about ¾ full. Alternately you can use an ice cream scoop and place 3 scoops in each muffin tin. Cover with a clean kitchen towel and place in a warm, draft free place to rise. Let rise for 35 minutes or until the dough has almost doubled in size. Beat the remaining egg with 1 teaspoon of water very well with a fork. Gently brush the tops of each roll with the beaten egg. The rolls can be made ahead – bake them, let them cool in the pans, wrap with plastic wrap and refrigerate for up to 2 days. Warm for a few minutes in a 350 degree oven. This entry was posted in Bread, Gluten Free and tagged gluten-free breads, gluten-free ideas, gluten-free rolls. In large bowl, stir together sugar, salt, yeast, and water. Stir in oil. Mix in enough flour to make a soft dough that can be kneaded by hand. Turn dough out onto a lightly floured surface and knead for 8 minutes, adding more flour if necessary, until the dough is soft and not sticky. Place dough in greased medium bowl and flip dough over so that the top is also lightly greased. Cover with a clean kitchen towel and let set for 30 minutes in a warm, draft-free place. Grease large baking sheet. Sprinkle baking sheet with coarse cornmeal, if desired. Remove dough from bowl onto lightly floured table and divide into 2 equal parts. Roll each dough half into a 15 X 9-inch rectangle. Tightly roll dough along the 15-inch side. Pinch seams and taper the ends of each loaf. Place loaves on baking sheet. Cover and let rise in warm, draft-free place for only 20 minutes. Preheat oven 425 degrees F. Make 3 deep diagonal slashes on each loaf. Bake bread for 20-25 minutes. Turn oven off and leave bread in for another 5 minutes. This entry was posted in Bread, Sugar-free, Vegetarian and tagged Baguette, bread pudding, French toast, Italian/French bread, whole grain flour. As of late, I have been yearning on something crunchy to snack on. In the realm of snacking, it’s universally known that some dips require a sturdier scooping device. I don’t have crackers or anything crunchy to snack on in sight, but I have stale pita. I grew up on bagel chips but pita chips are my new favorite snack food. Low-fat and crunchy, these pita chips scream for geneorus amounts of hummus, guacamole, eggplant, or roasted chili pepper dip. This baked pita chip recipe is a much healthier alternative to deep-fried pita chips– they have a wonderful crispness that is often lacking in store-bought chips. And they are not nearly as salty nor greasy. They’re incredibly simple to make, and you can customize the seasonings to suit your dip. I like to use zahatar seasoning, a Middle Eastern spice blend available at most Middle-Eastern markets. Versatile in flavors, you can use any seasoning you like. 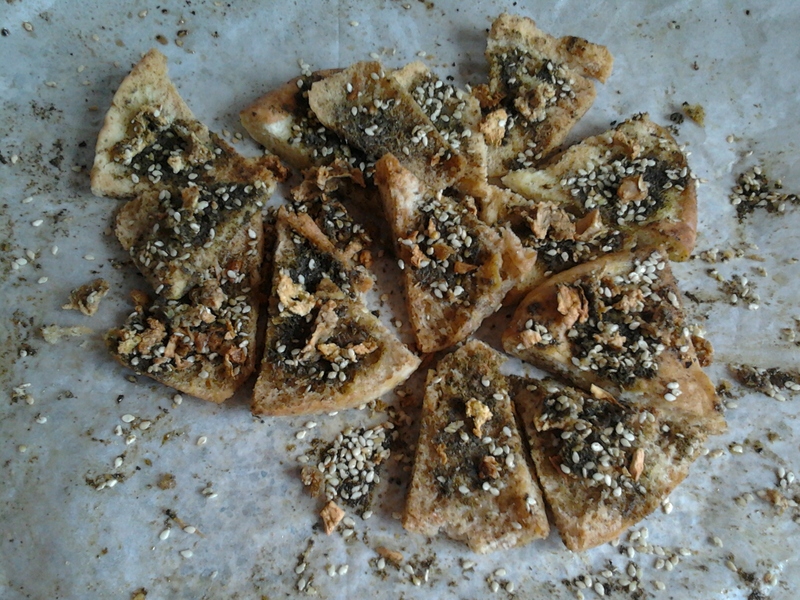 I thought about sprinkling some cinnamon, ground cloves, ginger, and a bit of brown sugar for a sweeter version.The list of delicious possibilities is endless!Pair these pita chips with Classic Hummus, Classic Baba Ghanoush, your favorite spinach or cheese dip, or as a healthier alternative to fried potato chips. Make them with whole wheat pita for more fiber like I did. I only wish I made more. As yummy as they are, it may be a good thing I didn’t in hindsight because they are very addictive. Preheat oven to 400 degrees F. Brush your baking sheet with olive oil, coating the entire sheet evenly. Brush the top of a pita round evenly with olive oil. Sprinkle pita with zahatar seasoning, garlic powder, paprika, and ground pepper. Cut the pita in half, then in quarters, then in eighths to make eight equal sized triangles. Place pita triangles seasoning-side up in a single layer on the oiled baking sheet. Repeat process for remaining three pita rounds. Bbake for 8-10 minutes, turning the sheet once during baking to ensure even heat distribution. Chips are done when they’re golden brown and crisp. Towards the end of baking keep an eye on the chips, as they will brown quickly and can burn if not watched. This entry was posted in Bread, Vegetarian and tagged baked pita chip recipe, Middle Eastern, pita, pita chips, snack food, zahatar seasoning.